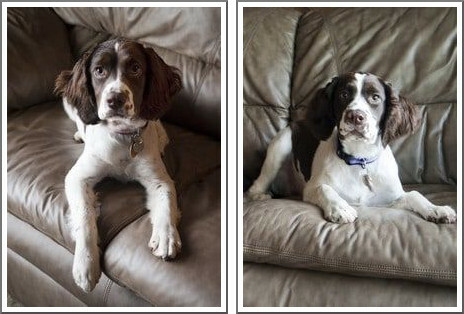 Hi, and welcome to Double J Dog Grooming. 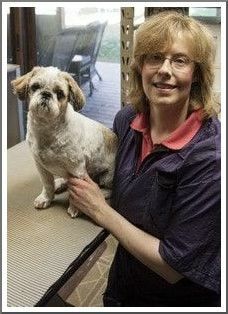 My name is Jeannine Jahnke, and I've been providing personalized grooming for the dogs of Appleton, WI and the surrounding Fox Valley since 1995. I'm a graduate of the Wisconsin School of Professional Pet Grooming with the experience to make your dog look its best. My goal is to develop a long term relationship with my clients and their pets. You can be assured that your dog will be cared for as if it were my own. Todd and Jeannine were both born and raised in Appleton. Todd attended Appleton West High School and Jeannine attended Appleton East High School. They met through a mutual friend while attending a Christmas party. They've been married since 1986. Todd graduated with a Bachelor of Science degree in 1980 from UW-Oshkosh. He used his education to develop a successful insurance career, which he retired from in 2015. He then joined Jeannine in expanding their dog grooming business. After working several years in an office, Jeannine decided to change careers and enrolled in The Wisconsin School of Professional Pet Grooming in 1995. 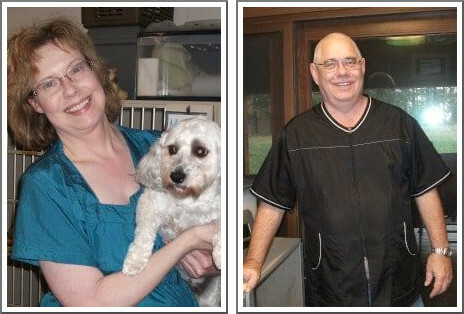 Upon completion of her schooling, she immediately opened her own dog grooming business and continues to enjoy taking care of the dogs of the Fox Valley. Todd and Jeannine enjoy eating out, playing poker occasionally and traveling to Las Vegas whenever possible. Libby and Lucy were born in 2010 and are litter mates.They enjoy running around our yard, an acre which is completely fenced in. Libby prevents us from doing much landscaping, as she has been known to dig up small trees. Much to the amusement of our customers, Lucy can be seen tossing pine cones and leaves in the air, and then doing back flips to catch them. She loves to show off when she knows someone is watching her!